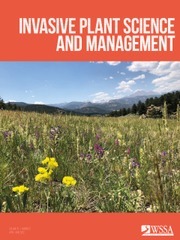 WESTMINSTER, Colorado – August 1, 2018 – Today the Weed Science Society of America is introducing a new fact sheet featuring state-level strategies in the battle against noxious weeds – those plants known for their negative impact on public health, agriculture, recreation, wildlife or property. 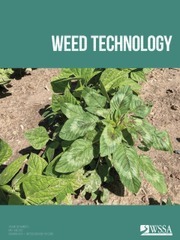 Once a weed is classified as noxious at the federal, state or local level, authorities can implement quarantines and take other actions to manage the weed and limit its spread. Many states with successful noxious weed programs focus on localization, with funds and control programs tailored to reflect each local community and its noxious weed challenges. Wyoming, for example, requires a local weed and pest organization in each of the state’s 23 counties – empowering them to fund control programs by levying local property taxes. Without exception, the experts we interviewed say they use enforcement actions only as a last resort. Instead, they partner with landowners and land manager to help them control noxious weeds as quickly and affordably as possible. That includes subsidizing the cost of herbicides and even establishing a loaner program for application equipment. Noxious weed specialists in both Mississippi and Delaware collaborate closely with their respective Departments of Transportation (DOT) to identify and control noxious weeds along roadsides. When DOT personnel identify infestations, they record GPS coordinates so teams can map, treat and monitor the weeds over time. In Wyoming where outdoor activities are a way of life, the state’s Weed and Pest Council focuses on public outreach so local residents are more aware of noxious weed risks. Among their more visible efforts are the “boot brush” stations now posted at trail heads, fishing sites and other outdoor gathering spots. The stations include information about noxious weeds found in the area, as well as a brush visitors can use to clean their shoes so they don’t take noxious weed seeds with them when they leave. 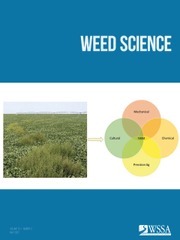 To read more, download the free fact sheet “Seven Front-Line Best Practices in the Battle Against Noxious Weeds,” available online at http://wssa.net/wp-content/uploads/NOXIOUS-WEEDS-FACT-SHEET-FINAL-10july18.pdf. This entry was posted in Headlines, Press Release.